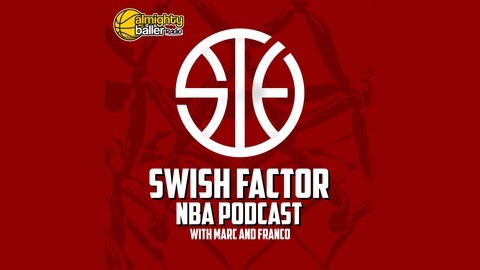 Hosted by Marc and Franco, the Swish Factor podcast covers the NBA world: from trades, rumors, and analytics, to triggered ex-players and passive-aggressive-LeBron-tweets. 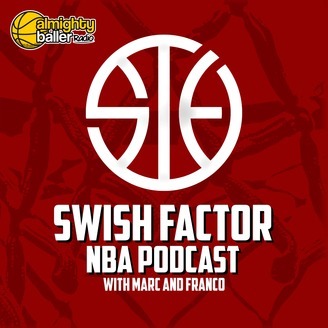 In this episode of the Swish Factor Podcast, we look ahead to what the upcoming summer could hold for the NBA and discuss the offseason. 0:38 - Where will DeMarcus Cousins end up?9:47 - Should anybody trade for DeMar Derozan?22:13 - Boston’s future33:41 - Who will sign IT?36:24 - Which tanking team will make the playoffs first? Which will win a finals first? Which will be stuck in mediocrity forever?42:03 - Should the Trailblazers trade McCollum?47:40 - How would the Cavs rebuild if LeBron leaves?55:19 - How would the Cavs have done if they didn’t trade Kyrie?